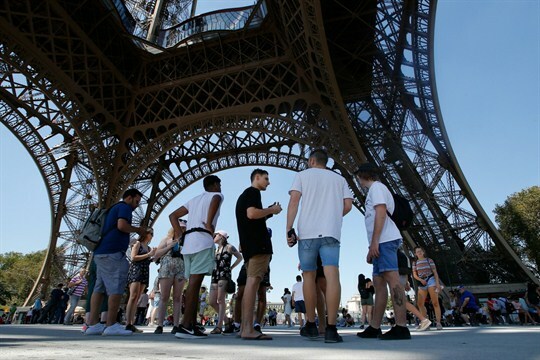 Tourists stand under the Eiffel Tower in Paris, Aug. 2, 2018 (AP photo by Michel Euler). PARIS—What does the world look like when you’re not watching it? Every year at the end of August, I have the chance to answer that question when, for two weeks, I unplug and check out of the online media sphere. Often, with the help of my archaic non-smart phone, I’ve been able to remain entirely out of reach of the internet and email. This year, I limited my “staycation” news consumption to a morning glance at The New York Times homepage.